The study of the interactions between organic molecules and minerals is fundamental to unravel the prebiotic processes that led to the emergence of life on Earth or possibly on other planets. Mineral surfaces may act as adsorbents, templates and catalysts driving the abiotic evolution of chemical systems on early Earth and in space towards increasing molecular complexity. Investigations about molecule-mineral interactions provide also important scientific support to space missions devoted to the search of past or present signs of life in the form of molecular biomarkers that can be included inside rock samples. Such studies are essential for establishing habitability of other planets, selection of sampling sites, identification of potential biomarkers, correct interpretation of data collected during mission operative periods, development of suitable life detection methods and technologies for in situ analysis. 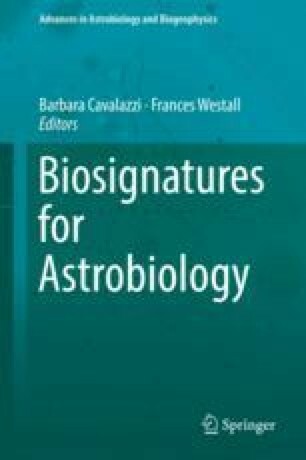 In this chapter, the possible roles of minerals have been examined both from the standpoint of prebiotic chemistry and life detection investigations focusing mainly on Mars exploration. This research was supported by INAF-Astrophysical Observatory of Arcetri through the Italian Space Agency (ASI) grant agreement ASI/INAF nr. 2015-002-R.0 and by the Carnegie Institution for Science.